What do you have? Are you ready for what lies ahead? The TAC*PAK Officer Down Kit has you covered. This small compact medical kit has the needed items to make a difference during a downed officer rescue or responding to a mass shooting. With the TAC*PAK, you and your team will have the gear needed for many different situations at your finger tips. 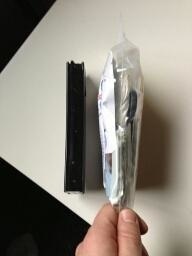 This emergency medical kit contains items to control massive blood loss. When seconds count and you need to act, the TAC*PAK kit can make the difference as it is loaded with pressure dressings, quick clot, triage tags, trauma dressings and more. 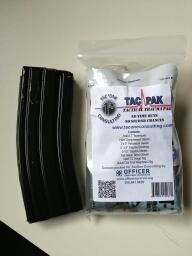 The TAC*PAK Officer Down Kit will fit in cargo pockets, on tac vests in patrol / RAID bags and not take up room you need.